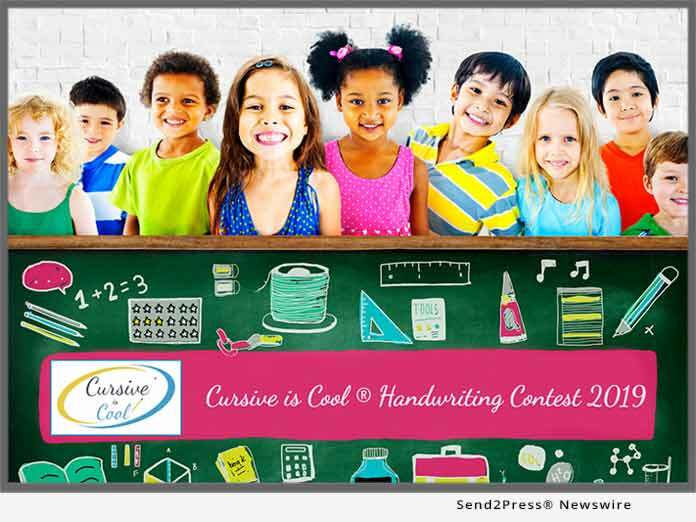 LOS ANGELES, Calif. /California Newswire/ — The annual Cursive is Cool(R) contests for 2019, under the auspices of the American Handwriting Analysis Foundation, will launch on National Handwriting Day, celebrated around the world on Jan. 23 each year. Cursive writing continues to enjoy increased appreciation in the United States and around the world. Scientific studies reveal the benefits of writing by hand to positively impact motor skills, cognitive development and improved learning outcomes such as better recall and retention for young learners.